Lord Digby Jones joins Shaun Ley, Gillian Tett and Tim Smit to discuss the economic prospects for 2012. Lord Digby Jones joins Andrew Neil and Jo Coburn to discuss the top political stories of the day, including spreading contagion in the eurozone, UK immigration controls, and plans for a high-speed rail link. 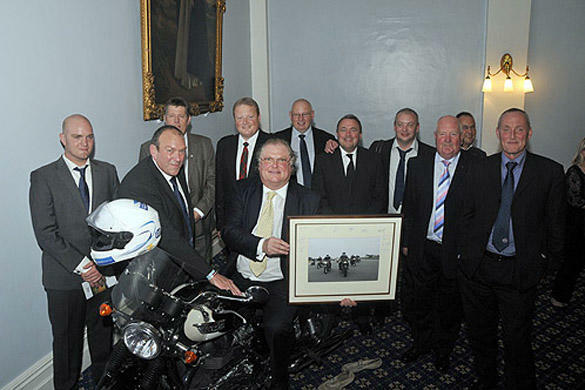 As Chairman of Triumph Motorcycles, Lord Digby Jones was the Guest Speaker at the Annual Dinner of the RAF Prisoners of War Association. Is it time the rich paid more tax? Lord Digby Jones joins the Sunday Morning Live panel to discuss whether the rich should be paying more taxes to ease the current economic burden. In Meet The Author, The BBC’s Nick Higham meets Lord Digby Jones to talk about his book Fixing Britain – The Business of Re-shaping our Nation.